Chelsea Manning – activist, whistleblower, LGBTQ and prison rights advocate – is currently enduring torture. The US government continues to hold Manning in solitary confinement for refusing to testify for a Grand Jury in a case against Wikileaks. The UN and multiple human rights group condemn the practice that’s widespread across the US prison system. Chelsea has been put through this kind of degrading treatment before – when serving a 35-year prison sentence for leaking state secrets, she spent almost seven years in custody, punctuated by long stretches in solitary confinement. She was denied gender-affirming treatment, as a trans woman, and kept in a men’s prison throughout the time she served. Chelsea went on hunger strike to protest. Her treatment was described repeatedly as “cruel and inhuman” by a special UN committee. According to Chelsea’s supporters, she’s had very limited contact to the outside world, and continues to be held in isolation since being imprisoned earlier in March for contempt of court. Chelsea is protesting the secrecy of the ongoing proceedings against Wikileaks and Grand Juries. 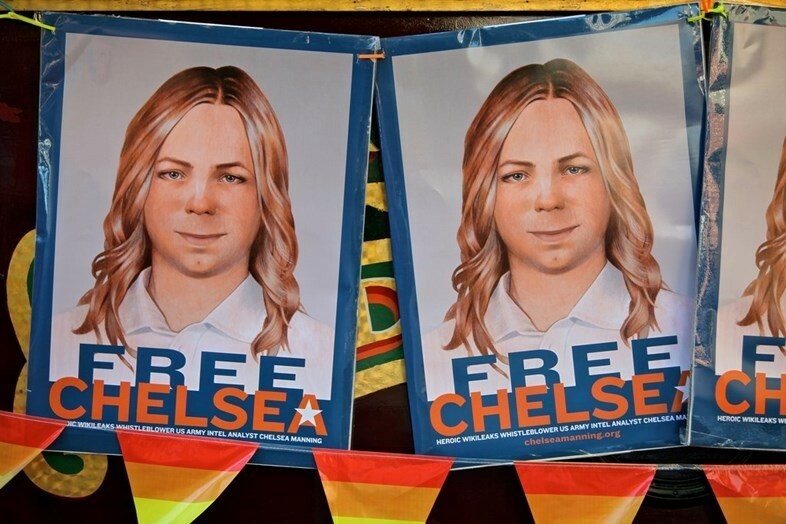 Dazed stands in solidarity with Chelsea Manning, and supports her decision to resist the Grand Jury – an element of the US criminal justice system that has been used to suppress activists and liberation movements. Below, Dazed has gathered messages of support, love, and resistance for Chelsea from fellow activists that she works with and admires. Alyssa V. Hope, Comrade Alyssa, is an incarcerated disabled black trans woman and political prisoner against plutocracy, capitalism, imperialism. Read back on her piece for Dazed’s Infinite Identities issue here, donate to her GoFundMe to fund commissary items and future legal support here, and follow her on Twitter as @comradealyssa. 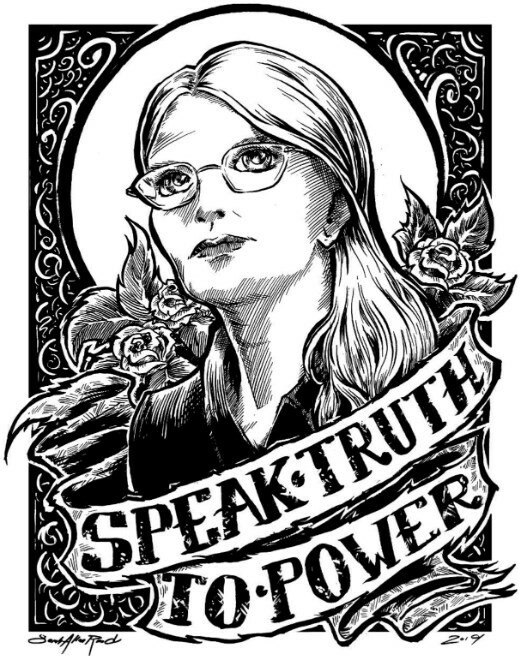 “Comrade and sister Chelsea Manning, please stay strong in your struggle against the American totalitarian government who continuously try to strip you of your federal constitutional rights. Comrade Chelsea, please keep in mind that I, Comrade Alyssa V. Hope, am standing with you in solidarity. “Comrade Chelsea will continue to be a target by the American government all because of her act of revolution against the American government, who is supposed to have the best interest of the American citizen in mind, as well as their obligation as a permanent member of the United Nations. Morgan M Page is a historian, writer, artist, and host of the podcast One from the Vaults. Read Morgan’s piece for Dazed’s Infinite Identities issue on lost trans history here. Chelsea is in solitary confinement with very little contact with the outside world. Write to her or draw her a picture this week. Janus Rose is a New York-based technology educator and Chelsea’s friend. Read her recent article for Dazed’s Infinite Identities issue here. Black and Pink is a United States prison abolitionist organization supporting LGBTQ and HIV-positive prisoners. Read about their letter-writing program here. Kade Crockford is the director of Technology for Liberty Program at the American Civil Liberties Union of Massachusetts. Read back on Kade’s contribution to the Infinite Identities issue here, where the civil rights advocate reflects on how AI can show us the limits of our society. You can donate to Manning’s legal fund here.